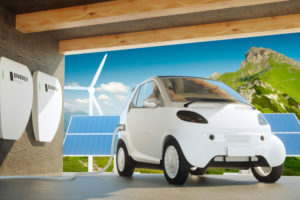 Power2Drive is a special showcase at Intersolar North America focusing on the diverse and growing categories of EVs, e-mobility, and charging infrastructures. In 2018, electric vehicle sales were up by 40% in the U.S. market. * There are now many different solutions on the market for optimizing the charging process, such as energy managers or intelligent charging stations. In addition, there is emerging interest and growth in the idea of integrating home energy storage systems to use that solar power for both home use and to charge electric vehicles. Solar carports expand beyond the solar energy you generate now by increasing the amount of electricity available for charging. The focus at Intersolar North America on stationary energy storage solutions and technologies offers the perfect complement to exhibitors Power2Drive. Here’s a profile of companies exhibiting at Power2Drive. Contact our sales team to learn how your company can get involved with Power2Drive.